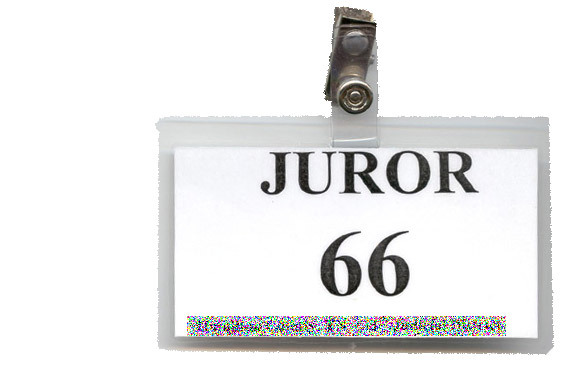 Well, I finally got tagged for jury duty. Had to report for my time yesterday morning and was excused for the day after getting selected and tagged. Now I have to call a phone number at the county clerks office everyday for the next two weeks between 4:00pm-6:00pm to get my court assignment (if any).This should prove interesting trying to juggle jury duty with work and trying to keep up with all the jobs that I have going on there. No explanation necessary. Just having a little fun. Okay. I probably should be working right now but I wanted to do something just for the fun of it. Here is a self portrait that I've uploaded strictly for a laugh or two. 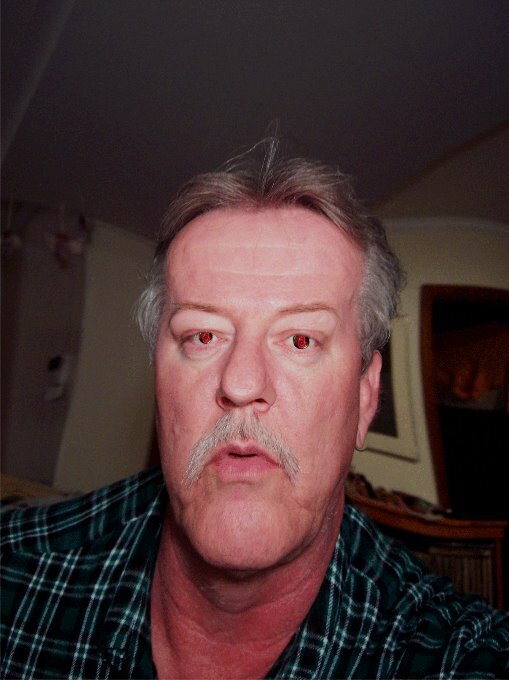 I used PhotoShop to give myself a little more space in the cranium and also beefed up the chin a bit. The eyes were from some half hearted attempt at a spacy, sci-fi sort of look. Finally! I've just kept trying and finally got this picture to upload. I had actually already given up and posted it on FlickR but just preferred it be here on the blog. 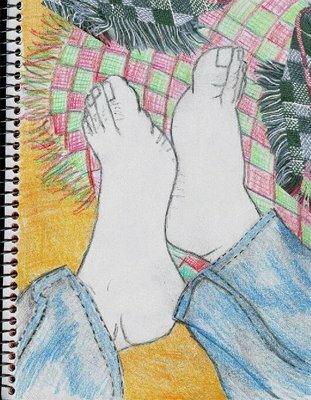 This is my sketch for the Illustration Friday subject FEET. Still trying to make myself draw and work with colored pencils and do a little less computer manipulated imaging. This weekend has definitely felt like springtime. 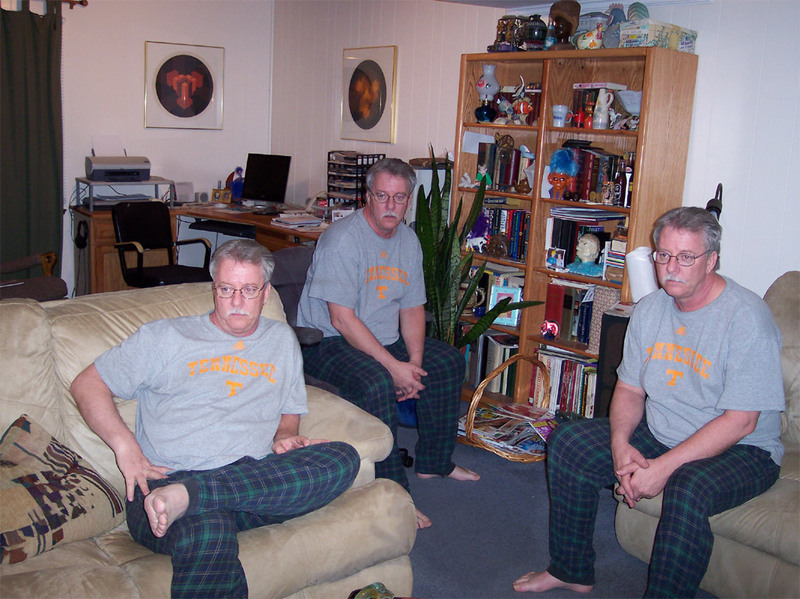 We had 79 degree weather here in Chattanooga. I have decided to try and break out of my exercise slump so today I walked about 2 1/2 miles. The weather was perfect for it and all the apple and pear trees are in bloom here. 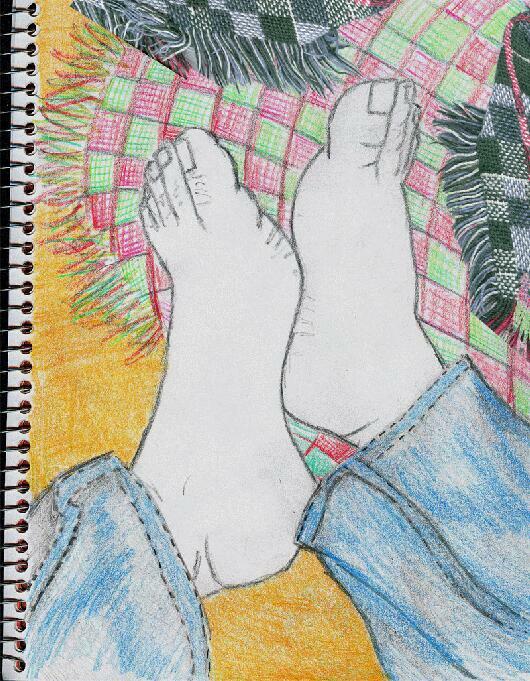 After my walk I did a little yard work and then got out the sketchpad and tried to make myself draw something real. I still need a lot of discipline to make myself sit and sketch and I know that I do not possess a fraction of the patience that my sister Janet seems to have in abundance. 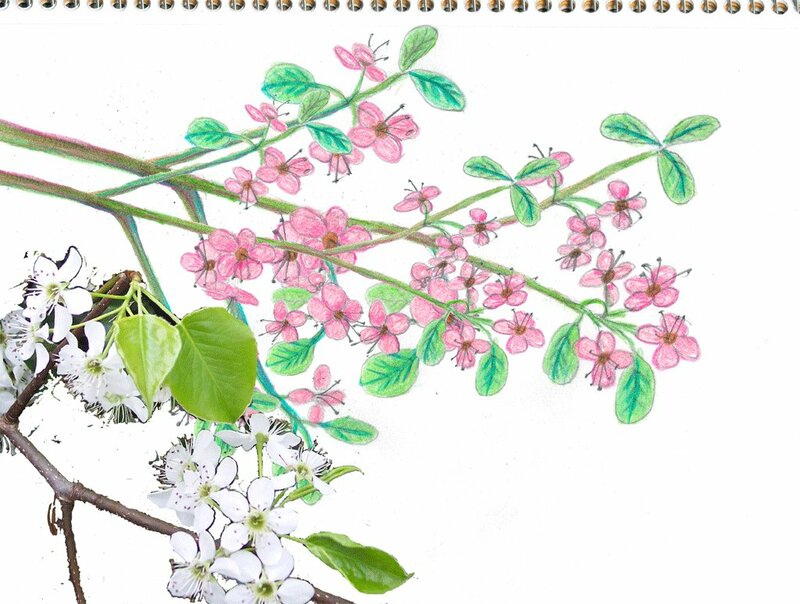 Anyway, the picture above is my springtime sketch for today. I couldn't resist throwing in some real blossoms with the hand drawn ones. My submission for Illustration Friday. The subject this week is Tattoo. Now I'm going to be thinking about that huge Celtic Cross tattoo on the back of Abby in NCIS. My submission for the PHOTO FRIDAY subject "Feminine". 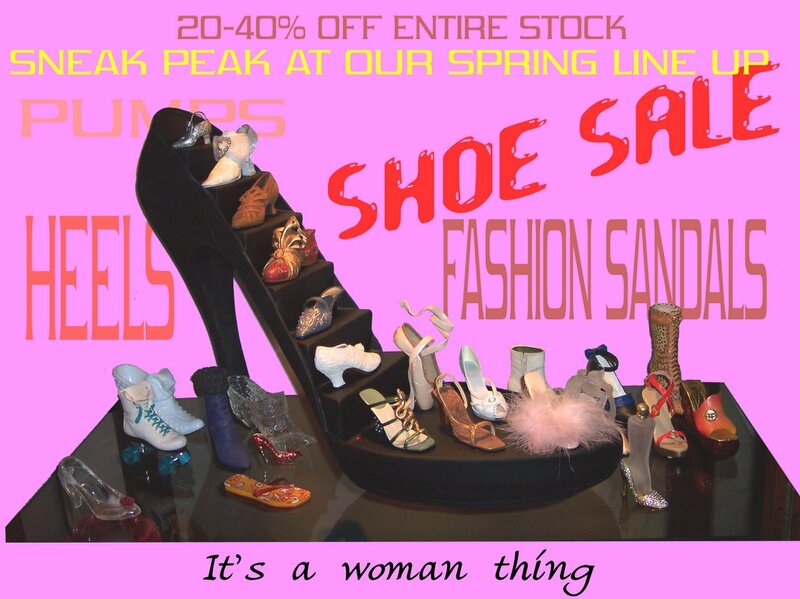 What could be more feminine than the innate passion for shoes. It's something that must be imprinted shortly after birth. 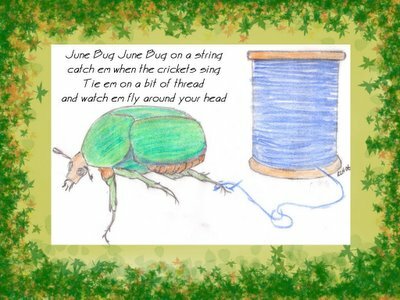 When I was a kid we used to catch june bugs in the summertime. We would carefully tie a string to one leg of these insects and let them fly about while on our "leash". This was a summertime ritual when I was young and I don't see kids doing it anymore. Perhaps because it might be considered cruel to the insect or perhaps just because todays' kids have much more important things to do. I miss those days gone by and have to admit that it sometimes brings a tear to my eye when I see children catching fireflies, playing kick the can, hide and seek, or catching june bugs to tie on string. Youy don't see enough of that nowadays!